Microscopic tardigrades, also known as “water bears,” are the toughest animals on the planet, capable of withstanding intense radiation, extreme temperatures, and even the vacuum of space. In a fascinating new study, researchers have shown that tardigrades are poised to survive literally anything that nature throws at them—and that of the animals alive today, they’ll be the last ones standing before the Sun annihilates the Earth billions of years from now. The point of this cheery study, published today in Scientific Reports, was to determine the conditions under which all life on Earth might be extinguished, and the phenomena that could instigate the premature sterilisation of the planet. 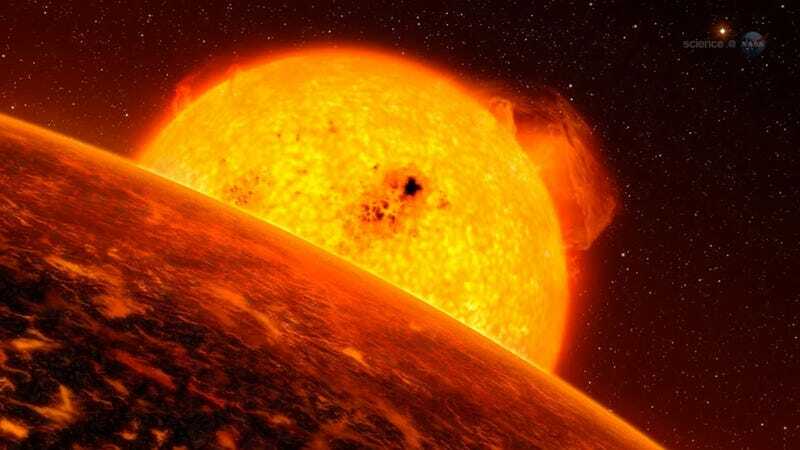 The word premature is key; the Sun could sterilise the Earth in as few as two billion years, and engulf it in about five to seven billion years when it turns into a red giant. But that’s not what this research team was interested in. They wanted to know if something else might be capable of exterminating all life on our planet. First, Loeb and his colleagues had to answer one fundamental question: which animal on Earth is the toughest to kill? That animal, to virtually no one’s surprise, is the freakishly durable tardigrade. This eight-legged wee beastie (they measure 0.5 mm in length and can only be seen through a microscope) can endure conditions that boggle the imagination, surviving for up to 30 years without food or water, and enduring temperature extremes of up to 300 degrees F (150 degrees C). Tardigrades can withstand blasts of radiation, complete dehydration, being frozen, the vacuum of space, and even the intense pressure found at the bottom of the Marianas Trench. It should come as little surprise, therefore, that these animals, which emerged 350 million years ago during the Cambrian Era, have managed to survive no less than five mass extinctions. With the tardigrade chosen, Loeb’s team then explored the various ways in which this creature could be completely wiped off the planet. Incredibly, they found that these ancient extremophiles will likely survive all natural calamities—from asteroids and supernovae through to gamma-ray bursts and wandering stars—because none of these events are likely to trigger the only thing that can truly destroy all tardigrades: the boiling off of the world’s oceans. Yes, you read that right—it’ll only be when the oceans boil away and the planet is a dry as a bone that the tardigrade family will meet its demise. Loeb and his colleagues, Rafael Batista and David Sloan, both from Oxford University, say tardigrades would be able to survive the destruction of the Earth’s atmosphere or a runaway greenhouse effect by seeking shelter in the ocean, which is why they were forced to consider astrophysical events powerful enough to deplete the planet of water. To that end, the researchers considered the potential for asteroid strikes, supernovae, and gamma-ray bursts to do the job. Yet none of these celestial phenomena seemed powerful enough. There are only about a dozen known asteroids and dwarf planets big enough to pack such a punch that the ensuing heat would boil away the oceans. 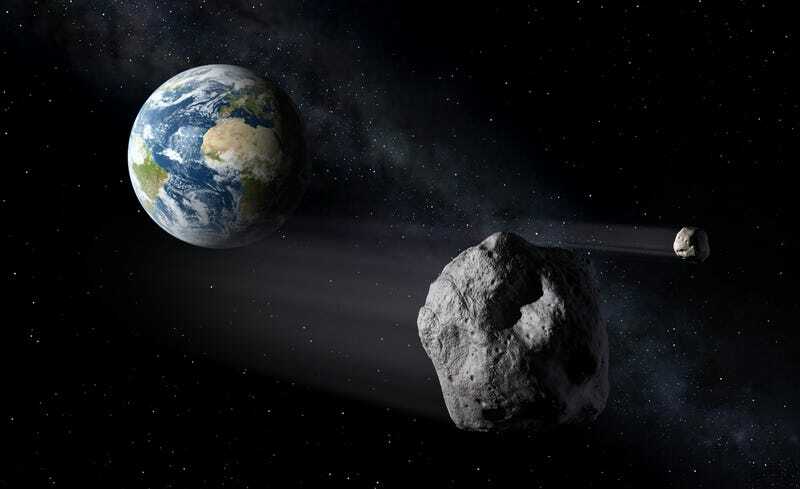 These include Vesta and Pluto, but as the researchers point out, none of these objects are poised to intersect Earth’s orbit. In terms of a supernova, where a star blows itself to smithereens, an exploding star would have to be 0.14 light years away, or 8,900 AU (where 1 AU equals average distance of the Earth to the Sun) to do the trick. The closest star to Earth is four light-years away, so the probability of a massive star extinguishing all life on Earth is practically negligible. Interestingly, a passing star came within 0.8 light-years of our Sun around 70,000 years ago. But such events are exceptionally rare, and the odds of a star going supernova at precisely the exact moment when it’s closest to Earth is astronomically high. Relatedly, a wandering star could pass by and shake things up, flinging planets at one another and potentially throwing Earth out of the Solar System altogether. Again, it’s theoretically possible, but highly unlikely. The final possibility are gamma-ray bursts. 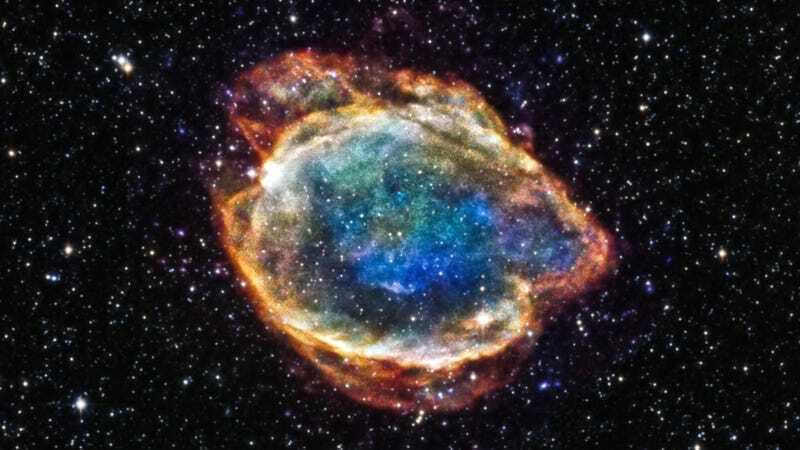 Likely caused by supernovae or hypernovae (also known as a superluminous supernova, which are about 10 times brighter than standard supernovae), these energetic explosions produce radioactive blasts capable of sterilising an entire planet. But like supernovae, gamma-ray bursts are unlikely to happen in our immediate vicinity. With all this in mind, the researchers hypothesise that there’s a one in a million chance that a catastrophic astrophysical event will kill all forms of life on Earth—tardigrades included—before the Sun grows old enough and hot enough to boil the oceans away. Put another way, if the Sun could last forever, it would take about 10 billion years before something might wipe out the tardigrade clan. This actually leads to a pretty optimistic conclusion. “We do not fully understand the mechanisms by which life started, but once it exists on an Earth-like planet, the complete removal of all life (other than through evolution of the host star) is a very unlikely event,” conclude the authors in their study. Loeb admits, however, that his team’s analysis is based on the assumption that life is the same elsewhere as it is on Earth (the Universe may have other forms of life, with creatures even hardier than tardigrades), and that other unknown astrophysical risks might exist (a rather scary thought). Further research in these areas could clear things up. Just take solace in the fact that if you don’t think you understand the Earth’s magnetic field, scientists aren’t completely sure how it works, either. It’s a rare - and extremely precious - example of cross-species nursing in the wild. Komodo dragons might not “adorable” in the traditional sense, but they could save us from untimely death. Global warming could make it increasingly difficult for planes around the world to take off in the coming decades.